Kick your party into high gear and speed down Route 66 with Lighting McQueen, Sally, Mater and the gang! This moon bounce is sure to having your little ones jumping for joy. 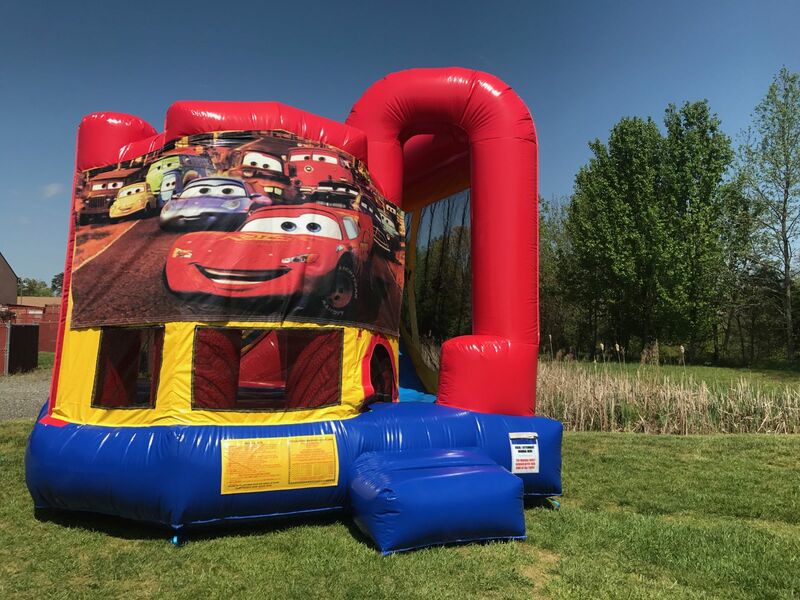 There is no question that this Cars Backyard Combo will be a hit for your child's next birthday party.